MWeb said on Monday it plans to close its five retail stores around the country and upgrade its online sales channel at the same time “allowing customers to shop when it suits them”. 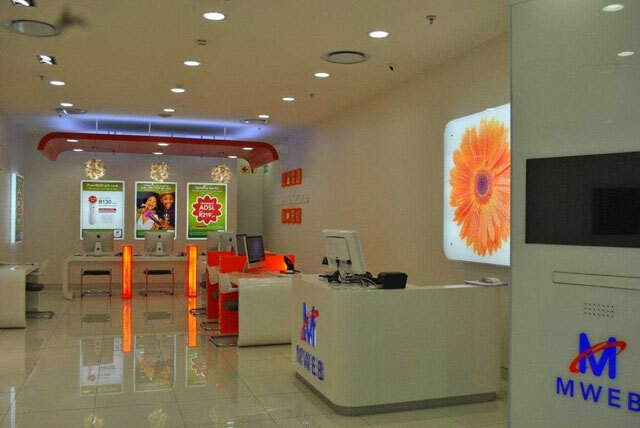 The Internet service provider, which is owned by DStv and M-Net parent MultiChoice, said in a statement that it will close the stores at the end of March. The stores are located at Canal Walk Shopping Centre in Cape Town, Clearwater Mall and Cresta Shopping Centre in Johannesburg, Gateway Theatre of Shopping in Durban and Menlyn Park Shopping Centre in Pretoria. Affected staff will be given the opportunity to apply to join expanded field sales teams in Johannesburg and Cape Town as the company ups its focus on the fibre-to-the-home (FTTH) broadband market. As part of the upgrade to its online sales channel, the company intends revamping its website at the same time, it said. It said, too, that it plans to increase its focus and resources on fixed-line broadband, including FTTH and ADSL. It will triple its FTTH field salesforce, said MWeb GM Carolyn Holgate. She said the structure of the FTTH market, with multiple infrastructure providers offering products in the same area, allows MWeb to act as an Internet service provider that is also an aggregator of all FTTH suppliers in each area. “We will go to the customer and help them decide what product is best suited to their individual needs and area specific infrastructure,” Holgate said. Now there’s something for you. I had absolutely no idea that they had retail stores. And I’ve been in a lot of those shopping centres quite frequently.